Now that we're into spring, it’s understandable to start thinking about interiors- especially after the big spring cleaning has been done! 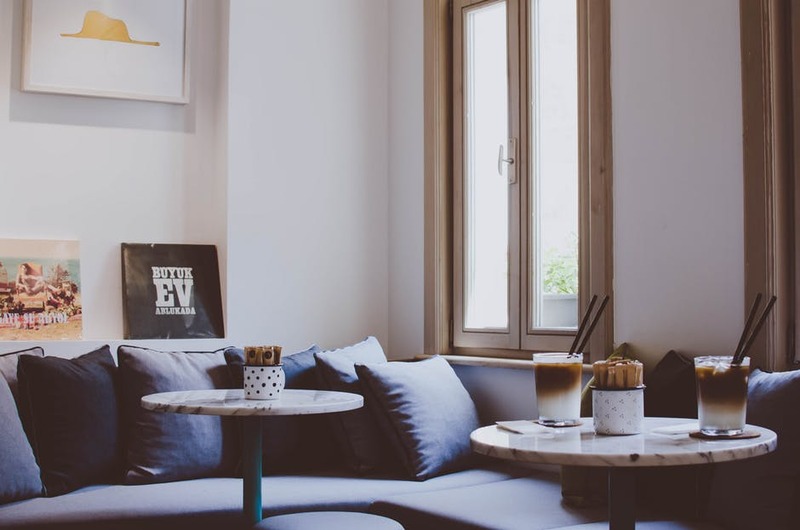 While you might associate a cosy living space with autumn and winter, actually a homely space is never going to be a bad thing and so really it's something you should be aiming for all year round. When the spring and summer sun has set, we all still will retire to the same spot, so why can’t we embrace cosiness throughout the year? With that in mind, here are some of the ways you can make that space user-friendly for the whole year. On the subject of candles, we associate the warming ambience they give on a cold winter's night, but actually, candles are equally as serene in the summer months. Simply switch out your warming festive spiced scents with something lighter. Summer fruits, light florals and clean linen scents all work well. You might not need to wrap up in blankets in the summer months, but that doesn’t mean to say that soft furnishings don’t play a big part in the cosy factor during the summer. Cushions are a great way to accessorise and style your living space so you could invest in some brighter colours for summer to give your room an instant face lift. Instead of putting the blanket over you, throw it over the sofa for an extra cosy layer when you sit down. Next time you redecorate you home, light and airy colours are always the best choice. They maximise the natural light, and are nice and neutral so match with any decor. In the winter you can add deep reds, tartans and warming shades with your home accessories. In the spring and summer switch these out for light floral patterns and pastels. That way you only need to change things like throws, cushion covers and flowers instead of having to completely redecorate. Finally, with your spring clean frame of mind, it is a great time to declutter your living spaces of anything you no longer need. A clutter-free zone is good for your mind at any time of the year. Go through cupboards and drawers. Sell, donate or give away to family and friends what you're not longer using. Don't hang on to anything that doesn't serve a purpose or make you happy.